Improve patient care and bridge your knowledge gaps with AAFP self-study CMEwhen and where its convenient for youand help our chapter earn additional revenue through the AAFP Self-Study CME Revenue Share program. March 17-18 at the University of Illinois at Chicago. Earn CME credits with topics across the spectrum of primary care! Maximize the learning experience with an engaging, rapid-fire review of the most important recent research publications. The new research evidence and meta-analyses that will either change your practice or confirm that your current approaches are supported by solid evidence from randomized trials and other high quality studies. Its one stop shopping for primary care excellence and CME. Learn more here - Online registration will be open soon. Business Unit Public Affairs, Pfizer Inc.
Thomas Brownlie - US Policy, Pfizer Inc.
Let IAFP help you get this requirement done, with some group fun! Our SAM Workshops offer a convenient and high-quality solution for your busy schedule to complete the American Board of Family Medicine (ABFM) Maintenance of Certification (MoC) Self-Assessment Module (SAM). Registration fees are only $250 for active members and $75 for resident members. Learn more and register today! Images of Illinois Family Medicine Last Call for photos! Show us your family medicine! 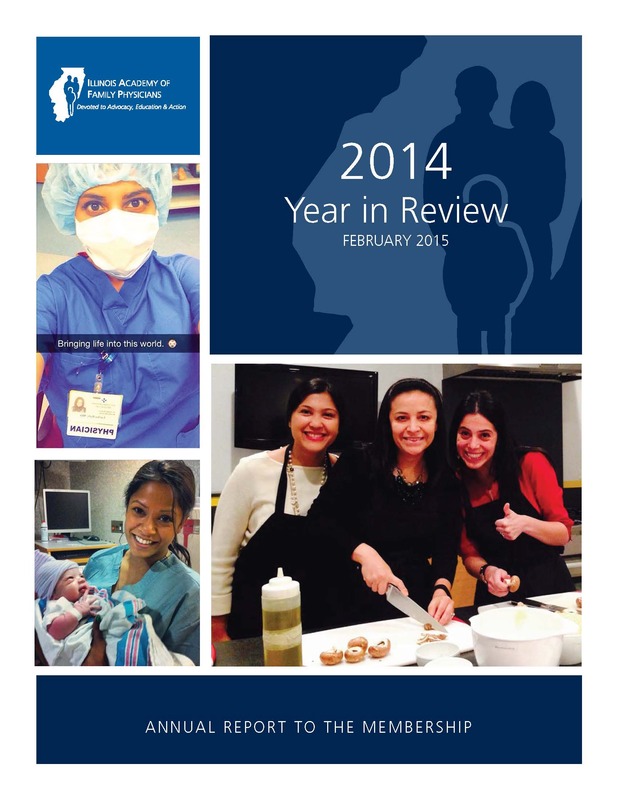 Each year the IAFP Annual Report features three photos on the cover submitted by our members. Additional great photos find their way onto other pages of the publication, where space permits! Check your files, check with your marketing department and email us your favorite family medicine image of the year. Send your photos by email to Ginnie Flynn by January 12, 2016. Michael Rakotz, MD, Director of Chronic Disease Prevention at the American Medical Association and a new member of the IAFP board of directors, presents a webinar discussion for providers and office staff on blood pressure (BP) control improvement methods. The IAFPs Clinical Integration committee has compiled successful models from around the state into one document. Find ideas here that you can use in your practice. A contact person for each model is included, so you can ask questions and get answers! Go to the Practice Resources page of the website. There is an urgent need to federally fund Teaching Health Centers in order to prevent the closure of over 60 programs! Closure or reduction will dramatically decrease the number of medical providers available to treat patients, especially negatively impacting low-income communities. One of these programs is Northwester McGaw at Humboldt Park. These programs train family physicians prepared for and passionate about caring for the underserved. The American Association of Teaching Health Centers has launched the SaveOurTeachingHealthCenters.org web site that has all the tools you need to help support the continuation of these vital programs that work. Use your social media savvy or directly contact to your Illinois members of Congress. IAFP will be supporting this effort through our Twitter and Facebook platforms throughout January. The Physician Quality Reporting System, or PQRS, is a Medicare pay-for-reporting system requiring you to submit quality data to CMS. The reporting deadline is February 26, 2016 at 4 p.m. CT.
Why is February 26 important? If you do not report 2015 PQRS measures by this date, you will be charged a 2% penalty to your 2017 Medicare Part B payments. The AAFP can help. They have partnered with PQRSwizard to offer members an easy-to-use reporting solution at a reduced pricefor both individual and group providers. Avoid the 2% penalty. Register now, and get started today. The Illinois Telehealth Initiative invites you to the inaugural Illinois Telehealth Law Foruma three-part series examining the telehealth landscape in Illinois and the broader Midwest. Each of the three forums will provide excellent educational and networking opportunities for anyone interested or engaged in telehealth. The first forum will include interactive panel discussions on the current legal and regulatory environment, reimbursement trends and opportunities, and telemedicine delivery and business modelswith particular attention paid to the concerns of the health care provider community. The second and third forums will build on these prior discussions and will address other emerging topics with enhanced focus on the perspectives of public and private payers, and telehealth entrepreneurs and service providers. For more information about the Illinois Telehealth Law Forum and sponsorship opportunities, please contact: Nancy L. Kaszak at[email protected]. Credit for certain professions may be available (additional details to come soon). IDPH released a new school physical form that can be used immediately but will not be required for use until January 1, 2017. For the 2016-2017 school year, either the 2013 or 2015 form will be accepted. Space that was originally completed by IDPH certified screeners for vision and hearing has been removed as it is no longer a part of the permanent school record. Instead, there is now space for the health care provider to document any vision or hearing screening/testing that they provided. The form is available on the IDPH School Health Program Website. Great Lakes Practice Transformation Network now enrolling! Northwestern University has opened enrollment for the Great Lakes Practice Transformation Network (GLPTN), one of 29 Practice Transformation Networks nationwide. The GLPTN will support organizations at no cost through health care quality compliance, transitions to value-based care, and engaging patients to be responsible health care consumers. Primary care physicians are eligible to participate. Your organization is not eligible if you currently participate in any of the following: Medicare Shared Savings Program (MSSP), Pioneer Accountable Care Organizations (ACOs), the CMS Multi-Payer Advanced Primary Care Practice , or are receiving services from one of the other 28 CMS-designated PTNs. Providers who do not accept any Medicare or Medicaid patients are also ineligible. 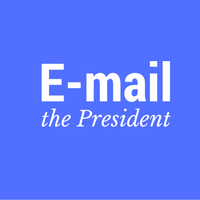 If you have a news item to share, email it to Ginnie Flynn at[email protected]. The December 27 Decatur Herald and Review had a story on William Neil, MD, who received an IAFP Distingushed Service Award in 2012. Dr. Neil collapsed with sudden cardiac arrest while working out at his local gym on Dec. 11. A nurse working out nearby started CPR and the staff members of the health club used the AED on site. We are thrilled to report that Dr. Neil is okay and was home for Christmas!